Cubiix.com offers small to mid-sized businesses (SMB) powerful Web hosting solutions that fit both their technical requirements and budgetary constraints. Cubiix.com is able to offer its customers a full range of hosting options based on powerful, yet affordable, Virtual Private Servers (VPS). Click to learn about Cubiix full suite of hosting plans. 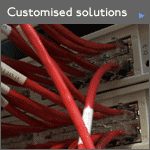 Do you need an specific application installed ? Cubiix.com is committed to the open source and we will install, configure and personalize a growing suite of Open Source applications for your corporate needs. Open Source (free software) is free so you only pay for our advice. You can in the future, upgrade or support it yourself or hire another company as you are not tied as in 'proprietary software'. 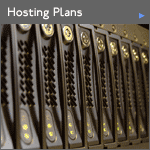 Our hosting plans support you in installing your own software. 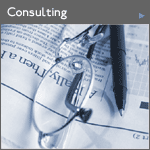 Our Consulting department is working around the clock to bring you solutions that fit your needs. Please come back soon for more news about this.